Kapsch TrafficCom AG (ISIN AT000KAPSCH9), listed on the Vienna Stock Exchange in the prime market segment, informs that Slovenian motorway company DARS d.d. has opened the bids received for the tender for a nationwide electronic toll collection system for vehicles above 3.5 tons total weight. Currently 53.9 km of a total of 613.5 km of motorways managed by DARS d.d. DARS d.d. loses 100 million euros or even more incomes per year. we will enable quicker and safer transport for all users. i.e. after the final legally valid decision on the selection. (C) Copyright APA-OTS Originaltext-Service GmbH and the respective issuer. Copyright © Vindobona. You may share using our article tools. 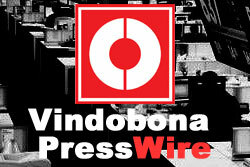 Please don't cut articles from Vindobona and redistribute by email or post to the web.